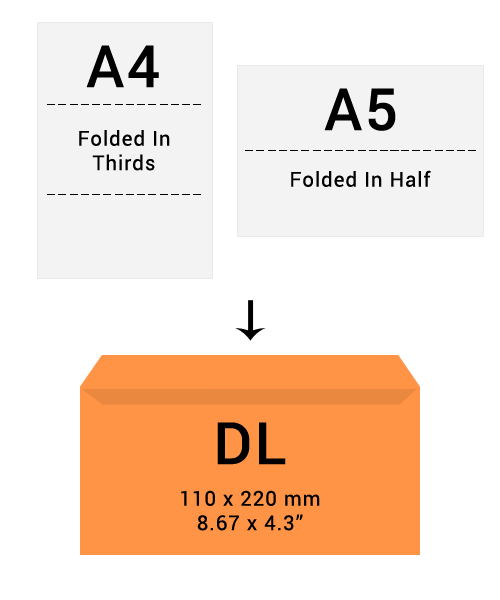 Our envelope size guide demonstrates the standard envelope sizes in the UK and the size of the paper they accommodate. 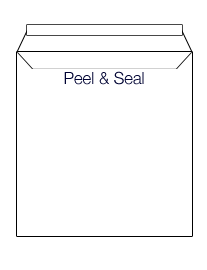 What are peel & seal envelopes? What are self seal envelopes? 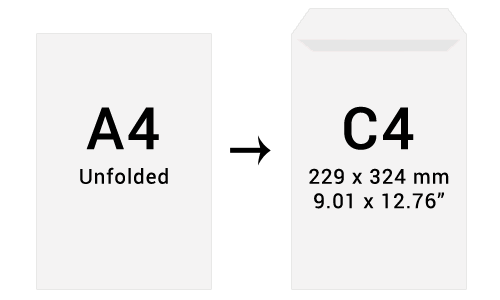 What size is a C4 envelope? C4 envelopes are 229 x 324 mm in size and a A4 card blank can fit inside or an A3 card blank folded in half. These C4 envelopes are ideal for sending A4 documents or certificates. C5 envelopes are 162 x 229 mm in size and fit an A5 card blank or A4 card blank folded in half. These C5 envelopes are also known as A5 envelopes and are ideal for sending larger greetings cards. What size is a C6 envelope? 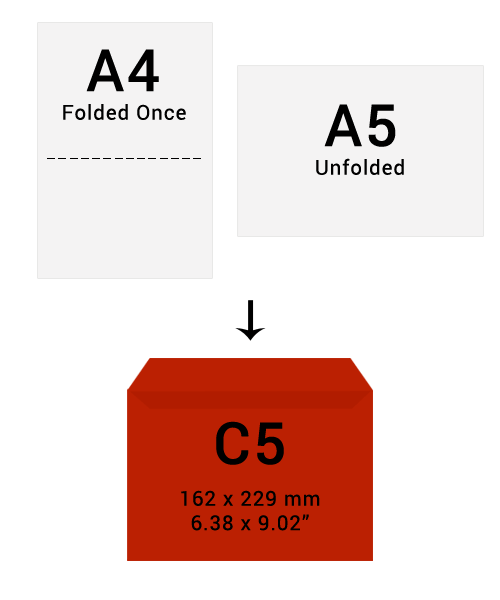 C6 envelopes are 114 x 162 mm in size and will fit an A5 card blank folded once or an A4 card blank folded four times. These C6 envelopes perfect for greetings cards or any occasion. What size is a C7 envelope? 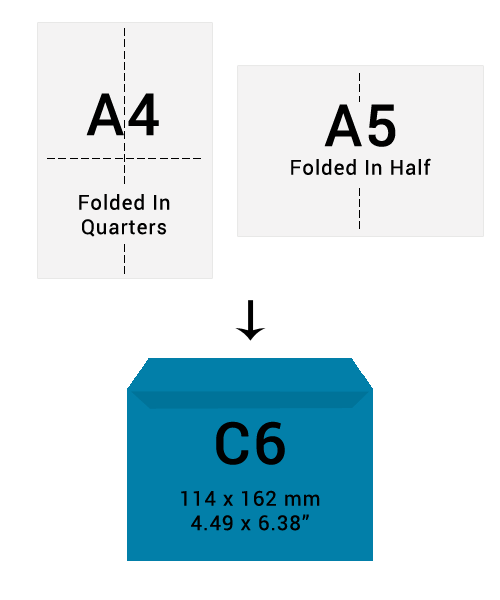 Standard C7 envelopes are sized 83 x 112 mm to fit A7 paper or A5 paper folded four times. These are small envelopes and are popular as use for RSVP or thank you cards. What size is a DL envelope? Traditional sized DL envelopes are 110 x 220 mm and fit an A4 card blank folded twice or an A5 card blank folded once. These DL envelopes are a popular sized envelope and are ideal for all occasions. What size is a 5 x 7 envelope? 5 x 7 is the traditional size of a greetings card or photo print. 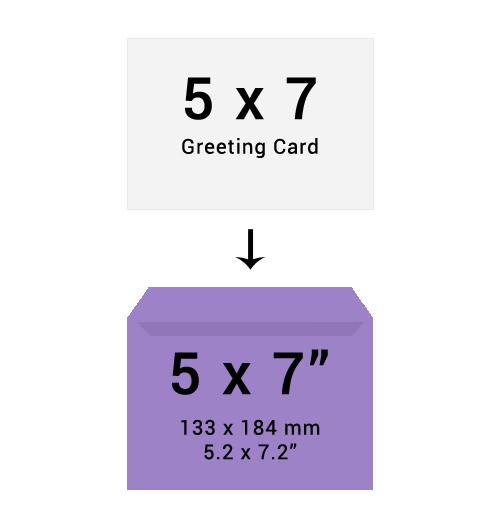 In fact, a 5 x 7 envelope is slightly larger measuring 133 x 184 mm or 5.2" x 7.2" so that it can accommodate a 5 x 7 insert. So while they are often referred to as 5 x 7 envelopes, they are actually slightly larger. 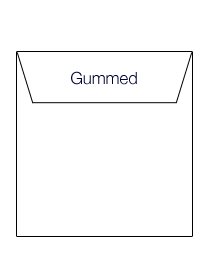 Gummed envelopes require to be wetted with liquid in order to be stuck down. These are the traditional envelopes and are very popular. Peel and seal envelopes have a sticky flap underneath a paper strip that you peel off. Peel and seal envelopes make sealing the flap easier. Self seal envelopes stick when they are pressed down without any need of wetting. 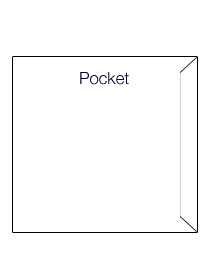 Pocket envelopes have the flap on the short edge rather than the longer edge.